Detailed information and reviews of Illinois teachers, instructors and schools offering music instruction, classes and private lessons. Post your requirements and receive no obligation price estimates and quotes. voice, and/or piano and guitar - Voice lessons for my 5 yr. old and perhaps piano or guitar lessons also. I would like some type of pricing for private lessons. 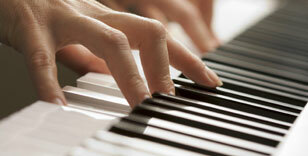 Keyboard Lessons - I am interested in getting Keyboard lessons for my 15 year old son. Saxophone lessons - Saxophone lessons, for both my 12 year old son and I. Home number 847/963-0143. violin music summer camp or violin lessons over summer vacation for beginner... - 2 to 3 times a week for 45 minutes sessions during summer vacation. Looking for Bass guitar lessons/ music teacher - Bass guitar lessons! I'm a little past beginner, but I need some help plz!